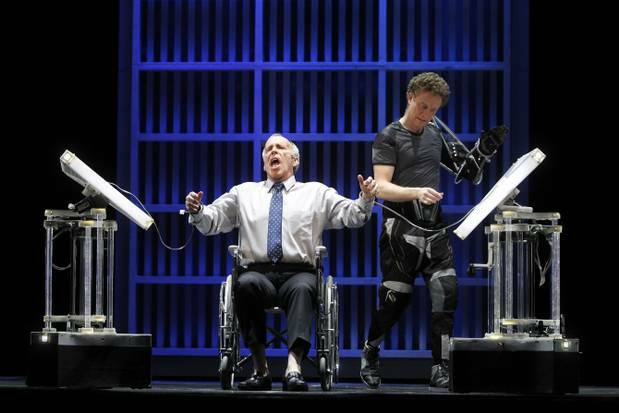 The Dallas Opera’s presentation of Machover’s sci-fi opera Death and the Powers, in February 2014, was dazzling, but the opera packs even more of a wallop as a video production. What was impressive at a distance in the Winspear Opera House becomes startlingly immediate in the high-resolution Blu-ray format. (I wonder if that might also be true for Joby Talbot’s Everest, which the Dallas Opera premiered last January.) I’m sure the sound, certainly vivid in basic stereo, would be even more dramatic in the optional surround-sound format (which my own system can’t access).